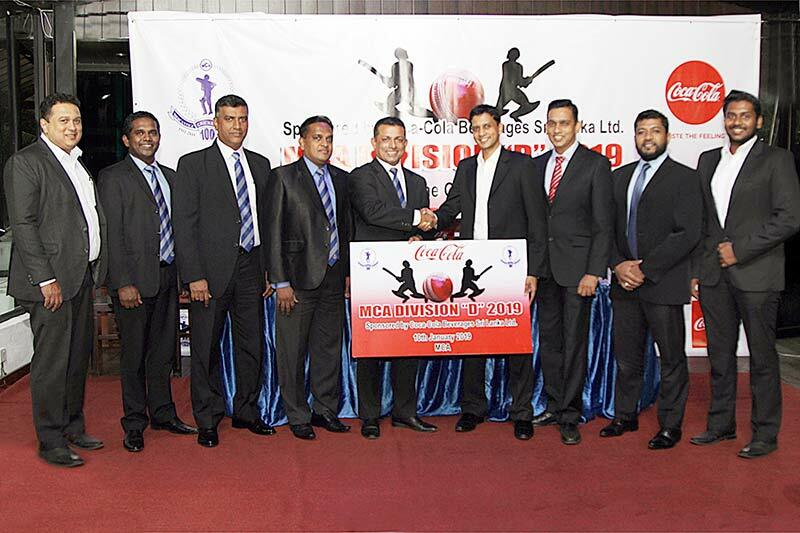 Coca-Cola recently stepped forward as the official sponsor for the Mercantile Cricket Academy (MCA)’s annual ‘D’ Division 40-Over League Tournament. The sponsorship was officially initiated at the MCA premises. Conducted over the course of nine weeks, from 16th December 2018 to 23rd February 2019, the tournament comprises a total of 13 teams playing 43 matches to qualify for a spot in the finals. The matches are played at several locations, including the MCA Grounds, Thurstan Grounds, Mattegoda Army Grounds, Bandaranayaka Grounds Veyangoda, St. Benedict’s Grounds as well as St. Joseph’s Grounds Maradana. The final match is scheduled to be conducted at the MCA Grounds. Coca-Cola has supported sporting events across the nation including the development of grassroots cricketing talent in Sri Lanka through the Coca-Cola Cricket Pathways Programme, which was hosted annually to provide young cricketers with a platform to hone and showcase their cricketing skills. Through sponsorships of this nature, the company was able to contribute towards nurturing young talent, grooming the next generation of sporting superstars and ensuring the continued development of the sport of cricket. Coca-Cola is also currently the official carbonated beverage partner of Sri Lanka Cricket.